Oblong slotted screens are made with carbon steel or stainless steel plates, punched, rolled and longitudinally welded. 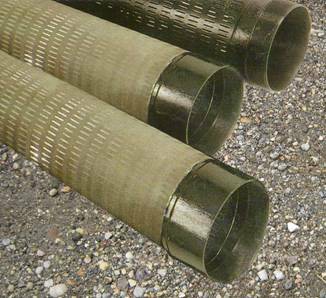 Slots are oblong shaped and are parallel to the generatricies of the pipe. 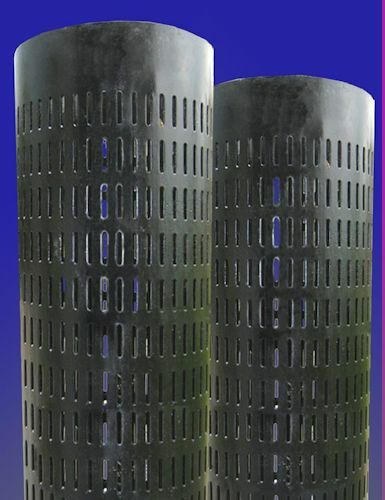 This type of screen is usually used for groundwater abstraction in consolidated or coarse soils. Upon request they can be covered with stainless steel net (covering all the screen or only part of it) which meshes are 0,10 mm to 0,40 mm distant. 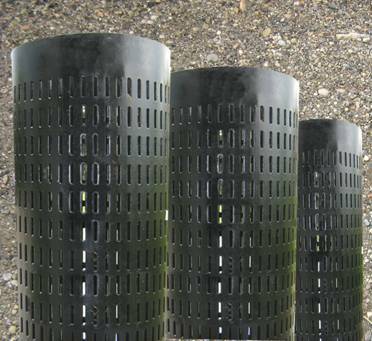 Stainless steel covered screens are suitable for fine and sandy soils and preserve a high flow rate.